Designed as a first class facility for owners, captains and crew, this South Florida marina was completed in 2010 but has since undergone expansion to further boost its superyacht slips. The extension to the Marinetek floating concrete pontoon system provides nine extra slips, six of which have 48,7 m long finger piers for vessels up to 76,2 m in length and three have 36,6 m long fingers for yachts up to 45,72 m. The slips are 12 m wide to give megayachts and large catamarans ample room for docking. 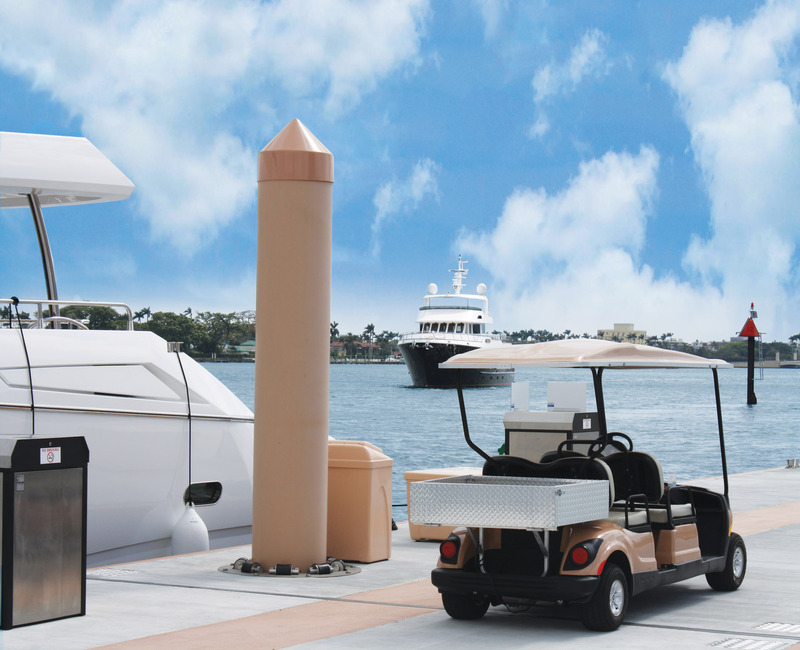 Dockside facilities are exceptional throughout and include threephase power, water, WiFi, cable TV, a fire-suppression system and in-slip pump-out. A solar powered navigational beacon is positioned on the end of the outer dock. 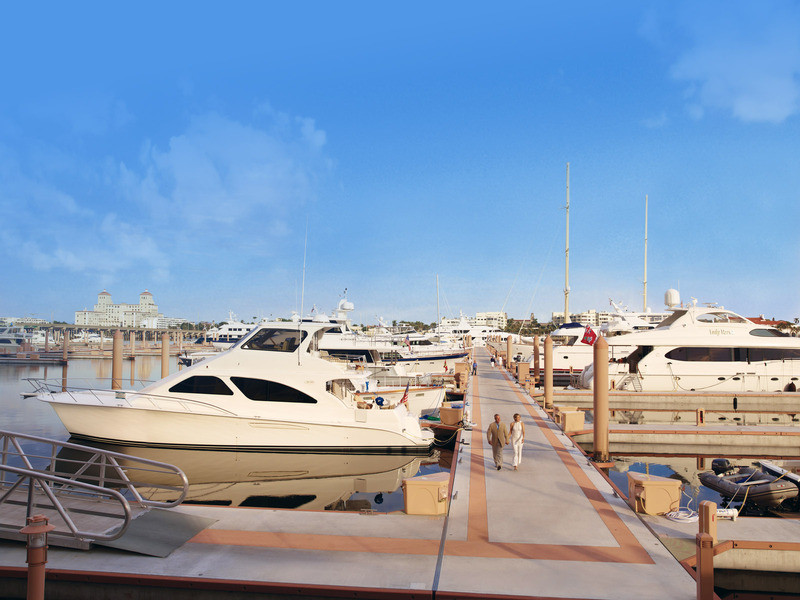 Located at the heart of the Palm Beaches, the marina has been carefully designed and offers an extremely high level of customer service. 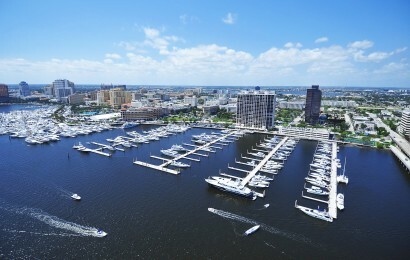 Capacity of the marina: 209 slips for 18-76 m yachts. 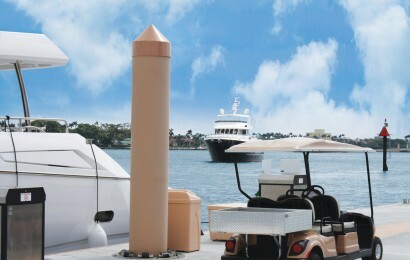 Products: Super Yacht Pontoons, Super Yacht Fingers. Delivered by: Marinetek North America with Murphy Construction, USA. Year of completion: 2010 (extension 2015). 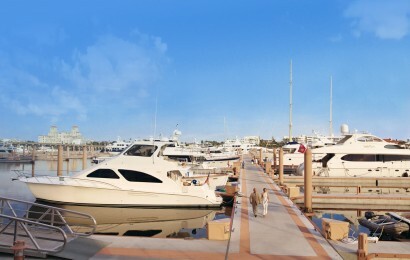 The walkways are 4,5 m wide Super Yacht Pontoons with coloured concrete and FRP decking for service channels. The pontoons are moored by piles. The marina has been carefully designed and offers an extremely high level of customer service and was elected as Marina of the Year 2010 in Florida.